Wine? Ok for Gout?! There Is a God After All He's Looking Out For Us! 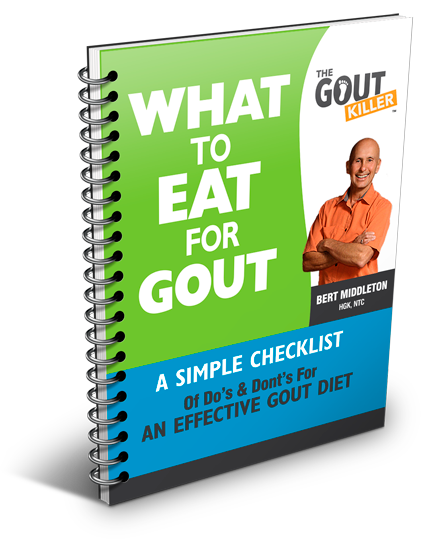 Advice to avoid alcohol when you have gout has been around for a long time — even medical pamphlets from the 1800’s say it’s best for gout sufferers to stop drinking. However, one of the first large scale medical studies on alcohol and gout only took place in 2004! Published in The Lancet medical journal, the study followed over 47,000 male medical professionals with no history of gout for over 10 years. By the end of the study, an unlucky 2 percent of the men had begun experiencing attacks of gout. What’s alcohol got to do with it? Men in study who drank the most alcohol daily had twice the risk of developing gout as men who did not drink. However, and this is a big however, beer drinkers increased their risk for gout by 50% for every daily serving, while those who drank hard liquor increased their risk by 15% for each drink. 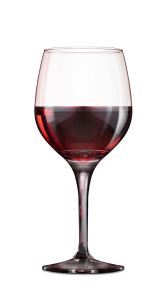 But there was small piece of good news: Men in the study who drank wine only did not increase their risk for gout. Most of these wine drinking men had one or two glasses of vino daily. Researchers have some ideas why beer is so bothersome for gout . . . it could be due to beer’s relatively high purine content compared to wine and liquor, or it could have something to do with the high gluten content of beer that contributes to inflammation. Because alcohol is a diuretic, dehydration caused by excessive alcohol consumption could also be a contributing factor. Personally, I’ve noticed that beer is more likely to bring on gout than wine. I can (and occasionally do) drink a ton of wine and can get away with no gout “close-encounters.” But if I have a big beer night, I know that trouble is going to follow. According to the Mayo Clinic, resveratrol in red wine helps prevent damage to blood vessels, reduces “bad” cholesterol and prevents blood clots. This is what makes red wine a “heart healthy” drink of choice. What Type of Wine Should I Buy? In my opinion, there is only ONE type of wine fit for a gout killer: Dry Farm Wine. DFW is an online mail order club that searches the world over to find and bring us the “cleanest” wines (no pesticides, herbicides, additives, GMOs, etc). But the most important feature of DFW for gout killers is that each batch is tested and proven to have statistically ZERO sugar. And sugar is the enemy, especially when it comes to gout. 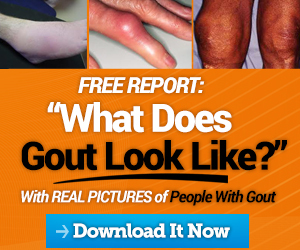 Thanks for all the info on Gout. I cant drink wine or beer as I get the usual flare ups from gout. And Rosalia. My cocktail is Ibuprofen with a glass of water-pretty exciting,but it doesnt cause flare ups and rests the muscles a lot. Big Saturday night for me. And "Rosalia"? Not sure what that is or what it's about but it sounds bad! 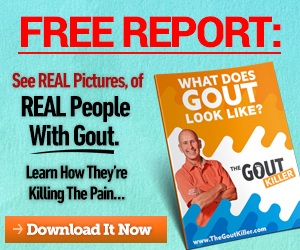 ;o) And it sounds like it's time for you to get my Kill Your Gout FOR GOOD video program and change your life. 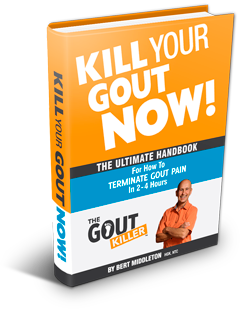 If you buy Kill Your Gout NOW! first, I give you a deal on the video program...but don't tell anybody! Thanks!